Major grew up in Victorville, California (about 85 miles northeast of Los Angeles). In his early years, Major states he felt like a kindred spirit to the characters in the 1989 sports comedy Major League. Major earned his moniker in his hometown after running with the local ‘Flipmode’ crew. A friend began calling him ‘Flip Major’ because of his tendency to naturally network with people. Major aims to push forward and upward with his latest album, already receiving endorsements from celebrities like, Kevin L. Walker (Vigilante Diaries, The Young and The Restless, Pope, Retail). 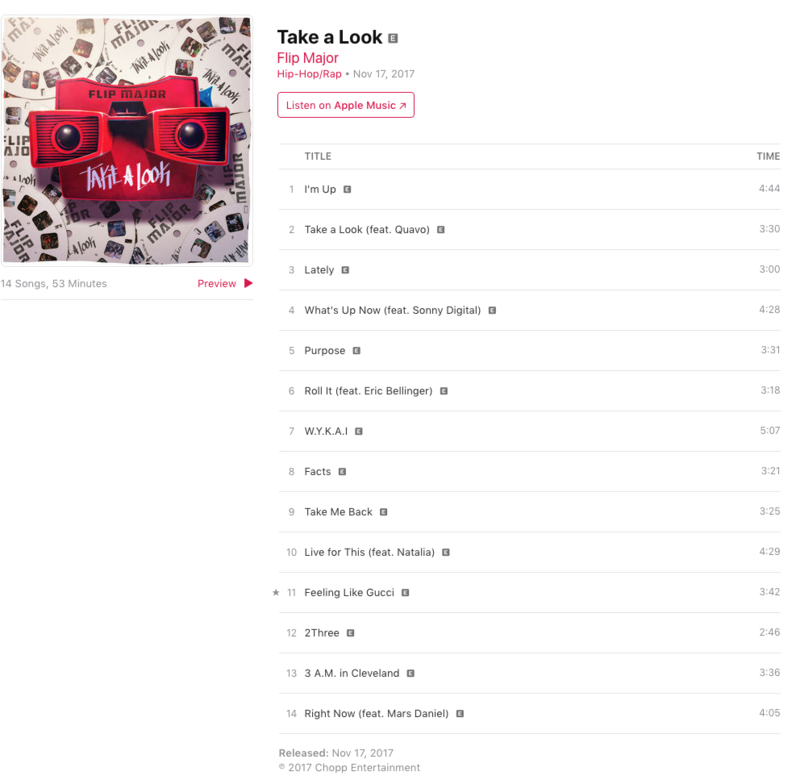 You can Listen to Flip Major’s ‘Take A Look’ album on iTunes!